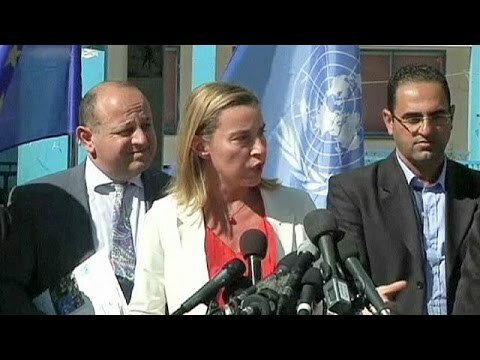 Frederica Mogherini, the European Union High Representative for Foreign Affairs in the Juncker Commission, is a former Foreign Minister of Italy and a member of the Italian Democratic Party and Progressive Alliance of Socialists and Democrats. She visited Gaza, where she called for a Palestinian state, saying that it is not only the people of Gaza who cannot afford another war, it is the whole world. She also called for Jerusalem to be the capital both of Israel and of Palestine. Ms. Mogherini is the daughter of director and set designer Flavio Mogherini.